SHARON L – Thank you for your response. I will check out the book at my library. My child has never been diagnosed with dyslexia, although I have suspected that might be part of the problem. Can I ask you how you went about getting your school district to provide your son with tutoring? There is no way my school district would just turn over services of that magnitude. 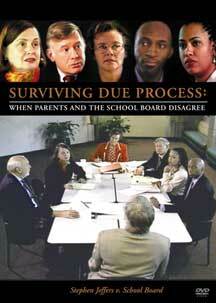 Did you have to go through due process? I am just curious. Thanks again! Sharon L – Can you please let me know how your son responded to Alphabetic Phonics? My son is 7 years old and has an amazing opportunity through a community grant (outside of school) and will be starting alphabetic phonics this month 3x per week at 1 hour sessions. The program is for 3 years. His tutor has gone through the 2 year training and has taught at the center for over 4 years. The school is working to their limited ability, he receives 1:1 tutoring 5x per week w/ Recipe for Reading. 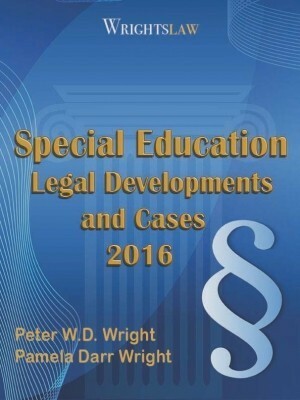 This is a scripted manual that is followed and the Sped teacher does not have any training. The professional development for our district’s reading teachers is disappointing but hoping for change. Your comments on the program would be greatly appreciated. Thank you. GGIRL My son was in 8th grade reading at pre-primer level. He was on an IEP for his entire school career. The school told us that he was unteachable however he comprehended at grade level. I read a book ” Overcoming Dyslexia” by Sally Shaywitz, (you can get this at the library) & it helped me immensely to see that my son could read at grade level if taught by the right method. I had my son re-evaluated & it proved that he was not progressing in the school. The school was failing him. I found a tutor in our area through the International Dyslexic Assoc on line. The school paid for her from end of 8th grade for 6 yrs because they did not have a program or person that could teach my son like she did. She used Wilson and Alphabetic Phonics. He is now in college with supports/use of technology & is successful. Special educators teach children to read just like regular educators do. The difference between special educators and regular educators is that one differentiate for students according to their needs while the other doesn’t. If a child hasn’t learn to read he or she has obvious missed something along the way and needs to pick it up to fill in those gaps. 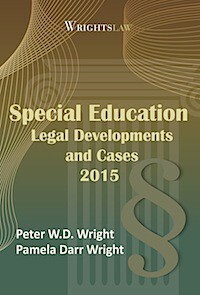 There are many special education programs where students make progress and are exited out of the program. It really depends on the teacher, the school and the special education program. Yes reading specialist have had extensive training in teaching children to read, but there are some that see children week after week and the child still doesn’t progress. It all depends on the teacher and her passion for teaching! Don’t lump everyone in one category. It offends people!!!!! As parents, we need to hear from teachers like you to gain perspective. For us, we see our children fall behind and trust that the system is working. When we realize that it is not working— we have to find answers, research and become advocates. I value teachers. But, I have seen the system fail for many reasons that are beyond a teacher’s control. In some cases, teacher’s are not allowed to do their jobs. I am impressed by your focus on literacy and reading. Your students are in a good position to have you as their teacher. Thanks for your perspective. Brandy – Glad to hear there are teachers as dedicated as you out there and it sounds like the school supports what you want to do. It has not been my experience with my 3 sons that there are teachers like you in our school district or if there are they have their hands tied. To Brandy: What advice would you give to the parent of an 11th grader whose reading fluency is at a grade level 4 with college level comprehension? You sound like a really great teacher and I wish you were in my district. I have tried year, after year to get the school district to help my child with reading. If a child cannot read quickly, what will happen to them in college, if they get to college? My child’s dream is to go to college! My child was reading on grade level in 6th grade. Why do schools and teachers get so defensive and then refuse to help at all? I know how angry I must sound, but that is after 5 years of getting nowhere this is what is left. My child used to love school and now hates it. I have been told by high school staff my child has no future. They refuse to see the person. They only see the disability. How sad! Making blanket statements that special education teacher do not know how to teach reading is very unfair. I am a special education teacher, and have been for 13 years. 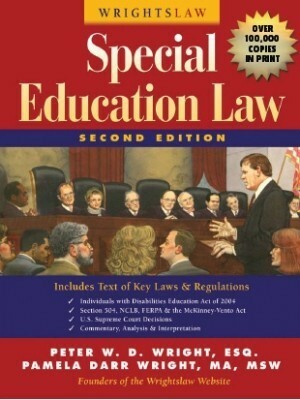 The majority of my students have learning disabilities in reading and I spend most of my day teaching this subject. My students average 2-3 years growth in a school year. I also happen to be certified as a reading specialist. I chose this career because I want to educate students who have learning disabilities. I’m sure there are some sped teachers who do not do their job, but not all of us. I agree with one statement that was made in this response. It is true that just because a student isn’t making progress it doesn’t mean they have a learning disability; they may not be receiving adequate instruction. In that case the particular school system needs to be reviewed. Mary, I am happy to hear from a teacher. I agree that with training, the right curriculum,, etc. that teachers can succeed and students will learn. I have seen it. The is so much out of the teacher’s control. See Liz G’s comments. Parents,some, have no choice but to become defensive–especially when they realize that the school district is not progress monitoring and allowing kids to fail. But, I know that a lot of dynamics are at play and parents have to be very strategic. If you come across as adverserial to the school district, it may work against your child and you. There are ways to not “fight” but to collaboratie. The end goal is for the chid to progress. Please keep adding to this chat. You give me hope. Pam – YOU ARE 100% CORRECT! My child cannot read and I am sad. She is now in 6th grade and has been in Special Ed. since 1st grade. She is Dyslexic and has ADD, I had her tested outside the district. The school gave up on her, they now just read everything to her; tests, homework, everything. She is lost and confused in her classes. I have read all your books and followed your advice but the school will not budge. She is now withdrawn and angry and does not want to go to school. My heart breaks for her everyday. I can’t believe right here in America this is happening to so many children. As a special education teacher who has taught in a self-contained class for learning disabled elementary students for 13 years I find this advice so heartbreaking. I consider myself (and my team of SC teachers) a reading specialist and have done direct instruction in small group settings with great progress. If this is not happening in other districts then it is due to the approved curriculum and class size. The challenge needs to be there. If teachers have the appropriate support and materials I do believe their goal is to get children out of special ed if it is possible. It is sad when parents are taught to fight against appropriate placements when the alternative is often devastating to the child. Nichole, You need to have your parents/guardian request a full multifactored evaluation in writing to the school and then go in and sign the consent form so that the school can test you and get the results back in 60 days. 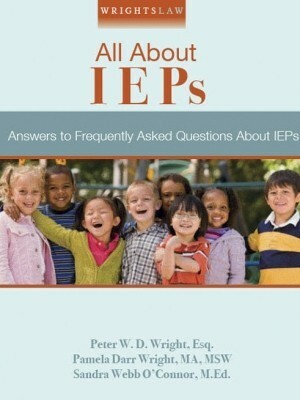 You and your parents need to read up on the laws, how to negotiate IEP meetings, etc. 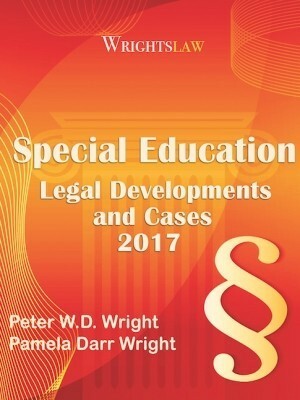 Wrightslaw has a wealth of knowledge in the books they offer. My son was diagnosed dyslexic and had the same problems as you are having and he is now 22 years old and in college and successful. This only happened because he was tested, put on an IEP and was given the proper instruction, help in reading and math. It was not easy but it can be done. Testing is the primary way for your sister to get help and to determine her needs. The school staff wants your sister to get tested but the parents are refusing–a tough problem. In many ways, we read on many blogs how the school personell refuse testing–this is the opposite. In many cases, parents refuse testing for a vareity of reasons –one may be denial or not wanting their child labeled. Or, they do not want their child grouped with “special ed. kids.’ I dont know why the parents are refusing that the child gets tested as school district staff members seem very concerned. I don’t know what to say as teachers are reaching out to your parents. I congratulate the teachers. I applaud you for caring enough to put your concerns in this forum. I am in fith grade and have a 2.1 reading level I see stuff in werd ways is this bad is there a disorder or something for this also I don’t get math a t all not one bit it is not fair I am scared to read outloyd and when I do I get teased for a very long time is there hope for me? Hello I have a sister who is in the seventh grade who is struggling in school. The subjects she struggles with are science, social studies and English. She is in Reading help but they say she is reading at a 4th grade level. They recommended that we get her tested but my parents refuse. What can we do to get her reading and writing level up? Do you have any programs you could suggest? we live in NY. I applaud teachers for trying. Remember, as parents we have more access to information, advocates, etc. Data does not lie–our children are not being taught to read. As parents, we are our kids’ advocates. We now understand how to interpret data and, with help, challenge the system. But. I know teachers are overwhelmed. One teacher cannot teach everything. I have sat in many classrooms as an employee. Some dyslexic students need specialized individual help–not small group cookie cutter programs. The teachers are under a lot of stress. Please do not take anything as an attack on teachers and we should applaud them. Their jobs are very hard. As parents, our job is to insure that our children make progress. Sometimes, the teachers cannot carry out their jobs. I have a 17-yr-old with a 26 credit requirement and only earned 4 credits so far, and just took the TABE test for Mo Options to study for GED and he didn’t qualify. Had 10th grade level Math, but 4.9 Grade level in Reading…..so now they don’t know what to do with him because they can’t shove him on over to take the GED. The No CHILD left Behind hasn’t worked for him, because ever since his IEP in 2nd grade, they’ve just shoved him up to the next level without having to Teach him and now at 11th grade, the school is saying Sorry, you need 26 credits and you have 4. There’s a box on IEP for Credit Requirements Waived, but evidently they’ve “never done that before.” My boy needs the credit requirements waived here!!! Fifth grader is reading at 2.7 grade level. Should he be tested for Special Ed? by Tammy W Yes he should be tested. Request a MFE (Multifactored Evaluation) from your school by sending them a letter listing your concerns & give them 5 days to respond. Contact them to meet to sign their consent form for the testing. They are supposed to get the testing done in 60 days (this timeline varies in some states). Once they are done, you should request a DRAFT copy of the test results so you can discuss them with your doctor or other professional so you understand what they mean. You can request test scores as grade level equivalents as well. If you do not like the results, or do not believe what the school wants to do will help your son, you can request an outside evaluation at their expense. The school may give you a list of recommended evaluators but you are not required to use people on the list. I need of advice to help my son who is in 7th grade and reads at the 1st grade level. I don’t know how he’s made it this far. He can read but he still sounds out words as he did in first grade. By the time he’s done reading, he has no idea what he read because all his energy went into sounding out the words. He had lacrosse encephalitis from a mosquito bite when he was 10. The scarring from seizures affects his comprehension and reading worse than before.He will have seizures the rest of his life from this disease – they are controlled with meds. He struggles to keep his grades up. He wants to go to college and at this point I don’t know if he can. We spend 2-3 hours 3 nights a week just to help him make C’s. Please help me help my son. I agree. But, my child is learning to read even with a late diagnoses of dyslexia. It has been a journey with the school district and not easy. I did get an IEE but when my child was a teenager. The road is not easy..but I press for parents to not give up as teenagers can learn to read BUT it will be a long hard process as puberty, dating, rebellion, etc. will serve as major DISTRACTIONS. But, it can be done.You will have to set boundaries, get mentors for them. Most of us are on this site because our children are older and past that age of proper remedation but the teenage years presents some great learning opportunities for remedation. We cannot give up. Children want to read and technology is here to help. Do not give up..home is a great resource with tutors, LEXIA. Public schools, most, cannot teach teenagers to read. I am a certified teacher in Connecticut with a Masters Degree and a 6th Degree in Reading. As a Reading Specialist in public education, I have become frustrated by the lack of expertise Special Education teachers have in teaching at-risk students how to read. Pete’s story and my experiences have confirmed that I need to become an advocate. I am leaving public education to help parents and students who are not receiving appropriate services. Do you have advice about the steps I need to take? I would appreciate it. 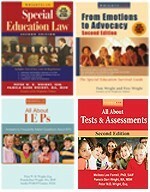 As a classroom teacher and specialist, I have used your books and website for years. Now I will be on the other side of the table with the knowledge to expect more. When students have gone through the RTI process, many parents and teachers tell me that the child is better off with me in Reg Ed. My grandson was just tested for his 3 yr evaluation. He was put into a LD class in 2nd grade because he couldn’t read very well. At that time, he was doing math fine. Now he can read, but they say is academically at a very low place. But he is very intelligent. Has an IQ of superiour to genius. Said he will never be able to read above a 6th grade level. He is in fourth grade and reads according to the tester, at a second grade level. Phycologist said do not see many children with an IQ this high, but academicall low. What to do to help him. It wouldn’t hurt having him tested again. Maybe the results will be different. If you have a teacher on your side that is great. If you don’t agree with the test results, you can opt for an outside evaluation from a professional at the school’s expense. Outside testing is usually better because there is a long list of recommendations that schools don’t include in their evaluations. I need help. One of my twin boys is behind in reading. We were overseas in Japan for preschool and kindergarten. He did first grade in Germany. He was always in an international school that taught in English. 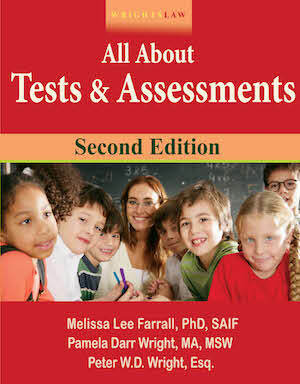 When we came back to the States for second grade he was tested at a DRA level of 8. The school district put hiim in English as a Second Language (ESL). By the end of second grade he moved up to a DRA level of 20. Currently he is in third grade and we are entering the third quarter. My son is still at a DRA level of 20. We had him tested for Special Education at the beginning of third grade, but he was denied services. Now, entering the third quarter of third grade, his third grade teacher is pushing for Special Education. I don’t know if this is the right action to take. Any advice would be great. 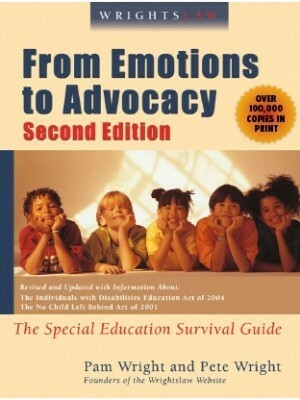 My daughter receives special education services at her school, her report card reports that she is doing very well in her reading but her dibles report the opposite, I help my daughter read a lot and frustrates me that the school is not doing it’s part as I can see that my daughter needs to learn read better. PAM, What is level N and L? Before you do anything you need real information about where your kid is in reading, a standardized test telling you exactly where he is as compared to his same age peers. Better yet, I would want to know specifically what his deficit areas are, for example, does he have a comprehension problem, a decoding deficit? You should be able to find this info in his most recent eval. His IEP goals for reading should be SMART, S-specific, M-measurable, A-action words (containing), R-realistic, T-time specific. How is it measurable to say he will move from level L to N? What kind of reading program is being used? How does it address his deficit areas? Once you know what those are, it is easier for the IEP team to write goals and find a program to meet his needs. This was very helpful. My daughter has struggled since she started having seizure activity in the 1st grade. Seizures are leaving her now, but she is still reading on a 3rd grade level and she is in the 9th grade. I want to help her read on her grade level. How do we get this accomplished. She has had a tutor for approximately 1 1/2 years and evidently it isn’t helping. Any and all suggestions welcome……..
My sons Iep said he completed level L and was on level N last year. His “special” teacher is having him read level L books a year later. Should we take him out of his special reading class. I do not feel it is as affective anymore? Our son recently received his reading comprehension test back from school, the results was 4.75 in all areas. The child is in the 10th grade. His teacher said this is an inprovement from his score of 4.25, me and my wife don’t believe her. Our biggest concern is how will he function as an adult with the reading ability of a 6th grader when he is an adult. We were also told he has an Mi Md disorder. How can we help him once he graduates??? Can he function as an adult with just a 5th or 6th grade reading level ???? To the teachers who are offended, you have to understand that your perception of how you are teaching a child might be different from a parent’s perception of same. Everyone told me how “wonderfully” my son was doing in “Resource” (as they refer to it here), yet the discrepancy between his scores and his peers scores kept increasing (his scores going down, peers scores going up), despite the fact that his IQ tested out in the high 130s. Just because his overall score increases does not mean he is doing well. He was still below grade level. I gave up and home schooled him one year and his year end test scores went from basic to advanced. He was back in the top 10% for his peers for all the other tests. The school all thought he was doing great there, they thought it was a FAPE, but it wasn’t really if he could do so much better. Orton-Gillingham-based systems work. I have personally used the Texas Scottish Rite and the Barton systems. Interventionists in my school have implemented these programs even with children who aren’t diagnosed, and we are seeing progress. It does take intensive intervention, and the rate of progress does vary, but they work. In addition, the Barton system is designed for anyone, not just educators. If the school is considering testing a child for special education because of reading failure, that school MUST prove that response to intervention has failed. I would not ever test a child without extensive proof that the school has done everything possible to increase reading ability. I’ve gone through a Due Process, due to my own disability (phsyical) a week before the Due Process I requested a continuance. The IHO refused the County Attorney had no problem with it. I filed a complaint with the Executive Secretary of the state Supreme Court. Who is the entity who assigns IHO’s on grounds that he unilaterally narrowed the issues and his professional demeanor was bias. I could not introduce the most important issues such as failure to provide a written notice of the intent of providing ESY. Our son Joshua is entering 6th grade at a 2nd grade reading and math level. I’ve complained to every department of the state DOE I finally reached out to DOJ. We relocated and have seen the same approach. We insisted that he receive OG and ESY. They are still trying to wiggle around the issue. Your site helped. I take exception to the statement regarding Sp.Ed. teachers. I’ve been one for 25 yrs. I am trained in Alpha. Phon., Herman, Project Read, Spalding, Math Their Way, Touchmath and have used Saxon (phonics and math) and TEXTEAMS/North Carolina Math. Currently, I am searching the net for free or low cost accredited training in MSLA so I can take the test for Dyslexia Therapist Certification. I don’t know where some people get their information, maybe just skewed perception! I am a special education teacher at the high school level. I taught early childhood regular education for 14 years and have been teaching spec. 5. You are right. Spec. teachers except maybe for the recently retired SLD teacher at my school. I have had numerous students tell me that she taught them to read at the high school level. I would love to be able to teach my low readers how to read, but it is nearly impossible or it is impossible because we no longer have resource classes. We must be co-teaching and no, we cannot teach them how to read when we are in a class of 35 11th graders. Maybe talk about context clues, etc. I am fully aware of the reading problem but as you well know, teachers do not make the decisions on what we teach; government does. d.warner – Our son has dyslexia and stopped progressing with reading at 2nd grade. We tried everything with the school and only had success with Wilson Reading program and Alphabetic Phonics. MY son did not get into the proper reading program until 9th grade and had low self esteem issues. Don’t make our mistake. Get him evaluated by an outside psychologist at public expense and get together with the school to get an alternate reading program. All children can read with the proper program. Read the book “Overcoming Dyslexia”. That helped me a lot. I have also heard these same types of stories. They also want to put my child in SE class too. She is in first grade, has a visual perceptual problem or it could be dyslexia like her grandfather. The school said they don’t test for it because she is too young. I think before I put her in anything, I need to take her to a developmental pediatrician or get a psychological evaluation.